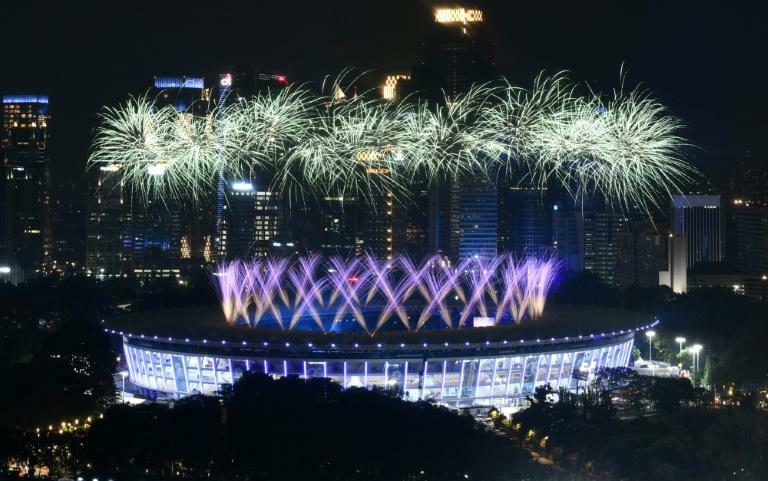 Tottenham Hotspur forward Son Heung-min avoided a spell in the military and hosts Indonesia unveiled ambitious plans to host the Olympics as the Asian Games reached a climax on Saturday. Son's bid to avoid military service by winning football gold was the talk of the Games, but South Korea left it perilously late before downing Japan 2-1 in extra time at Pakansari Stadium. 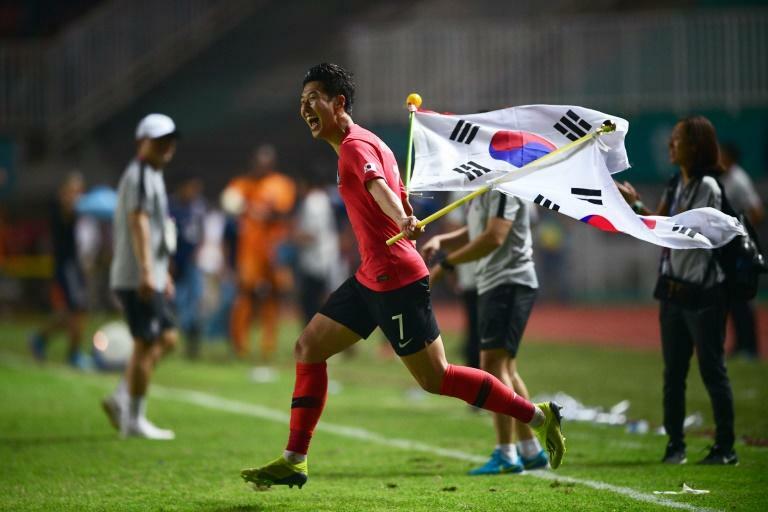 It uncorked unbridled jubilation from Son, who had set up both South Korean goals and leapt around beaming as he celebrated with his team-mates -- including his fellow World Cup star, goalkeeper Jo Hyeon-woo. Son's career-saving gold was the highlight of a busy final full day of competition, with 44 gold medals in play as Sunday's closing ceremony looms. "Indonesia has planned to immediately register itself as a candidate for the 2032 Olympics host," Widodo said, after hour-long talks with Olympics chief Thomas Bach. Elsewhere, the boxing competition witnessed unsavoury scenes as police had to break up protests by two North Korean coaches who were subsequently kicked out of the Games. 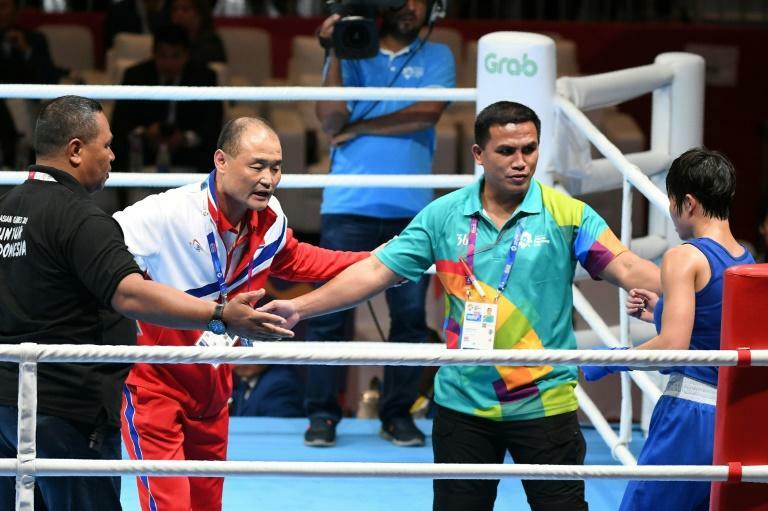 Pak Chol Jun refused to leave the ring and Pak Il Nam angrily tried to whip up the crowd as they claimed that fighter Pang Chol Mi was the victim of biased judging in her final defeat to China's Chang Yuan. "The coaches' credentials have been revoked and they will be sent forward to the disciplinary commission for them to review and take action," AIBA executive director Tom Virgets told AFP. It marred a day when Uzbekistan were crowned lords of the ring, winning five of the seven men's boxing finals. Elsewhere, the Unified Korea wept tears of sadness as they were denied an emotional women's basketball gold medal in a 71-65 defeat to China. China also won the men's basketball when NBA-linked Abudushalamu Abudurexiti inspired an 84-72 comeback victory against Iran. China's divers extended their incredible diving record with gold and silver in both the men's 10 metre platform and the women's synchronised 3m springboard. And China also went home with all five table tennis gold medals as Fan Zhendong won the men's singles and Wang Manyu won the women's -- both against Chinese opposition. In card game bridge, one of the quirkiest sports on the programme, India's 60-year-old Pranab Bardhan became the 18th Games' oldest gold medallist in the men's pairs. Earlier in Palembang, the Games' co-hosting city, Japan's Jumpei Furuya won the men's triathlon, a day after team-mate Yuko Takahashi won the women's race. Sunday's mixed race in the swimming, biking and running event will be the 465th and final gold medal, rounding off two weeks of competition in 40 sports. China lead the medal standings on 132 golds, while Japan have 74 and South Korea 49. Hosts Indonesia have 31.